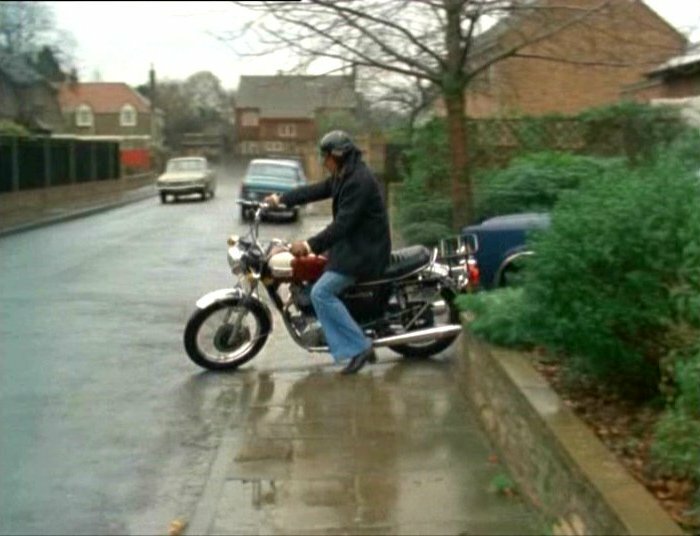 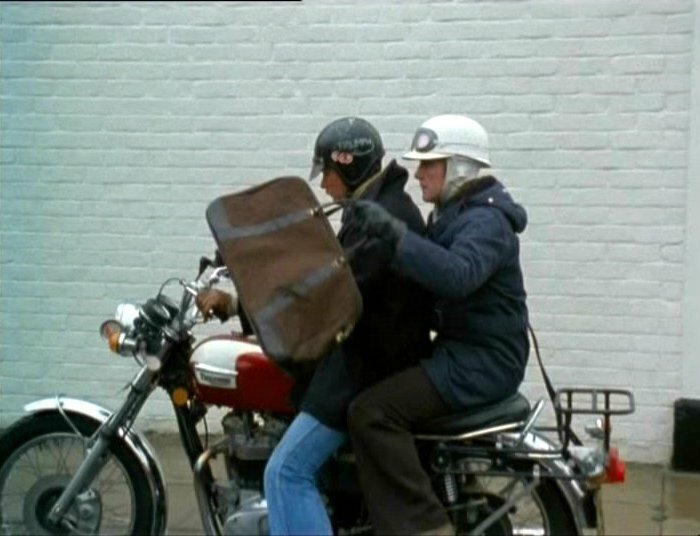 IMCDb.org: 1975 Triumph Bonneville 650 [T120 V] in "The Sweeney, 1975-1978"
HLR725N still on the road. 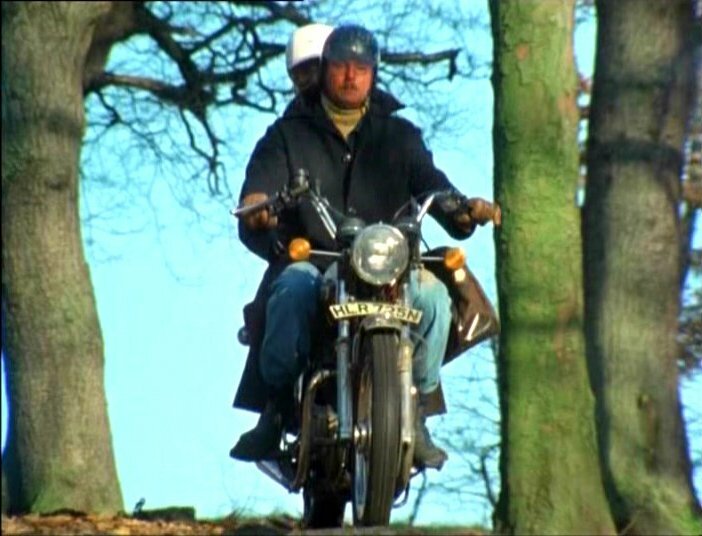 From dvla website The owners just taxed it till 01/11/12 . 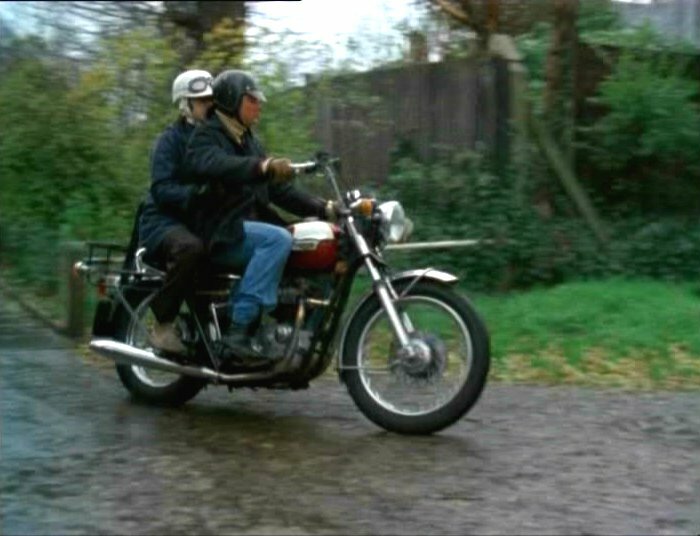 One of the very last rare T120V 650CC Bonnevilles ( with disc brake and 5 speeds) of the last year 1975 , around 50 sold that year.